I began my journey as a programmer in 2015. During initial days, it really was tough for me to decide where lies my interest. One day at work, I was given opportunity to be introduced to Mobile Development. With the passage of time, I became obsessed with it as I could see my program running onto the physical or emulated device within no time. Those were the days of Android Studio along with some other cross-platform frameworks such as Cordova, Xamarin, PhoneGap etc..
Fast-forward to 2017, wherein cross-platform frameworks gradually gained interest among developers. Game changing frameworks such as ReactJS were introduced to the world……. Instead of learning, I decided to take some time-off from mobile development in hope of discovering where lies my interest. Year ended, but no luck..
Hope is a good thing, and no good thing ever dies….. Lately, while surfing I found a cross-platform named “FLUTTER”. Researched into it and found it was backed up by Google. My interest started to bent towards this framework. (Don’t know why, maybe because of Google :p). 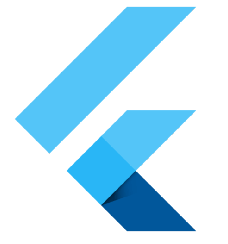 Got geared up and started to become flattered with flutter……………P.S….